Darjeeling: Chief minister Mamata Banerjee's visit to Kalimpong starting from Monday is expected to be a watershed moment for the future of 15 development boards that have been formed in the hills. The chairman of a development board admitted that the chief minister was expected to hold a meeting with representatives of the 15 bodies during her four-day stay in Kalimpong from May 28. "As per our information, a meeting will take place with the board representatives. The agenda is not yet clear but the state's thrust is on peace, prosperity and development. Some of the boards have not received funds for the 2018-19 financial year," said the board head. The meeting with the board's head is likely to take place on May 29. Even though Mamata had held a meeting with the board's representatives at the Raj Bhavan here in February, the Kalimponng session is being keenly looked upon by the board members. This is largely because she had expected much support from the boards but the same was not forthcoming during the last phase of the Gorkhaland agitation. The chairmen of two boards for the Khas and Rai had resigned during the agitation period. Also, many executive members of other boards tendered their resignations during the agitation. "The support she was expecting was from the board leaders during the agitation was not visible. After an attack on the house of former Khas board chairman in Kalimpong, the board leaders decided to lie low. Such was the situation that even the Trinamul leaders from the hills had to remain low during that period," said an observer. It was then that Binay Tamang and Anit Thapa decided to oppose Bimal Gurung's mode of agitation. 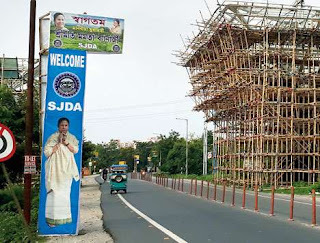 "In this context, it would be interesting to note whether the chief minister will continue to support the boards in the same manner as she had been doing earlier," said an observer. During the 2013 Gorkhaland agitation, the Lepcha board had mobilised support in Kalimpong and helped Mamata Banerjee visit Kalimpong in the middle of the movement. "There is no little doubt that the chief minister holds the members of the Lepcha board in high esteem. However, it is to be seen whether she still has a similar thought over the functionaries of other boards," said another observer. 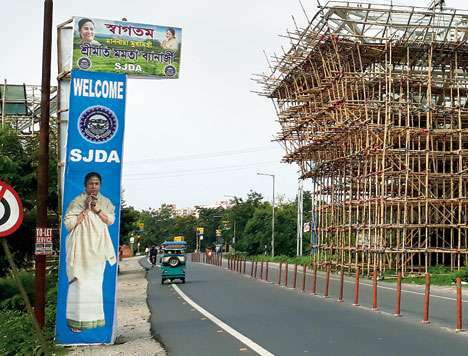 Chief minister Mamata Banerjee's visit to Kalimpong starting from Monday is expected to be a watershed moment for the future of 15 development boards that have been formed in the hills.